This is a warning! Orchids are like potato chips – you can’t have just one! 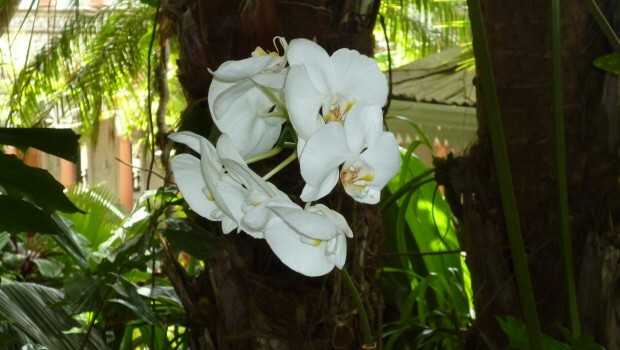 Orchids are known for growing in tropical regions all over the world where conditions are consistently warm and humid. There are over 30,000 varieties of orchids and they are considered one of the most popular flowering plants available today. Unlike most plant seeds where you place the seed in soil, water it and watch it grow, orchid seeds come from pods that are cultivated from the mother plant. For an orchid seed to grow, it should be sown in the mother pot around the roots of the parent plant. This way, with normal watering the pot will contain suitable mycorrhizal fungus from the parent plant which is needed for the seed to grow at all. As soon as the seedlings are big enough, they should be transplanted into their own pot to avoid competing for nutrients with the parent plant. The roots of an orchid need plenty of oxygen. 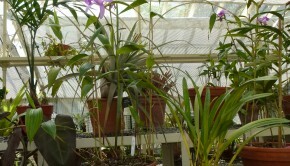 Traditional potting soil is inappropriate for orchids because they cannot breathe. Instead, they need to grow in bark or other loose materials such as moss. You may find it easier to purchase fast draining, bark based commercial potting mixtures prepared specifically for orchids. Many people unknowingly kill their prized orchids with what they think is kindness by overwatering. Wait until the plant is dry before watering again. Make sure the plant roots are not sitting in water either. Usually waiting for a week to three weeks is sufficient. When growing an orchid from seed you should consider the length of time needed to complete the process. It takes up to four years for the seedling to develop into a young orchid and another five to ten years of constant care; fertilizing, repotting and watering, before you see the first flower.